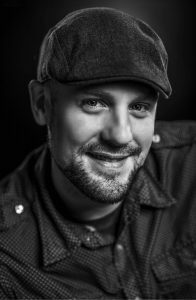 While I’m Here, The Legacy Project is a passion project that we started after letting time pass and missing out on the chance to tell the story of a man who was near and dear to our hearts. He passed away, and in his memory, we started the project with the idea of telling stories about other incredible people who are doing extraordinary things. These are everyday people who will one day leave behind a powerful legacy, and we want to help tell their stories through their own voices, while they’re still here. Initially we had planned to stay within North America for budgeting reasons. 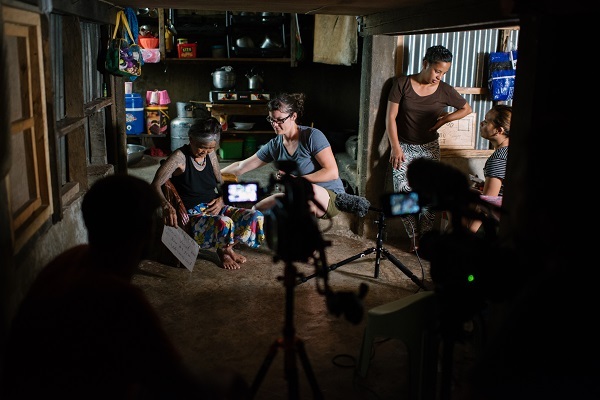 When Guill Ramos (who would eventually become our fixer for the project) sent us an email and suggested Apo Whang-od for the project, we knew right away we had to take the project globally and go to tell her story in the Philippines. 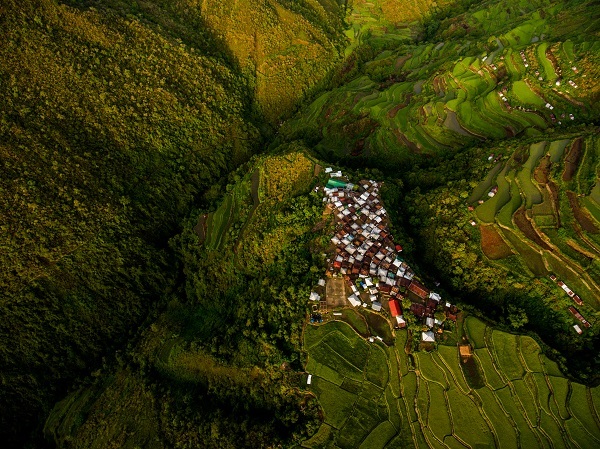 Our crew, Preston Kanak, Pawel Dwulit, Tammy Foster, and I began to plan, and we also sent Guill up from Manilla to help pre-produce the project and get to know Whang-od before we made the journey ourselves. I really battled whether or not to send Guill in advance because this is a passion project so every penny counts. In the end, sending Guill ahead of time proved to be extremely valuable as we were able to a) know for sure Whang-od would be there and willing to have us spend the time we needed to film with her and b) already establish a great relationship with our subject before arriving ourselves since (lucky for us) Guill was incredible and Whang-od and the rest of the village loved her which made our job very easy upon arrival. When it came time for production, the crew traveled from Canada to Manilla where we then met Guill and our driver Rodney and began a 13 or so hour drive towards Kalinga where Whang-od and the Butbut tribe are located. From there, we hiked into the village, which took an hour or two and arrived to begin filming. 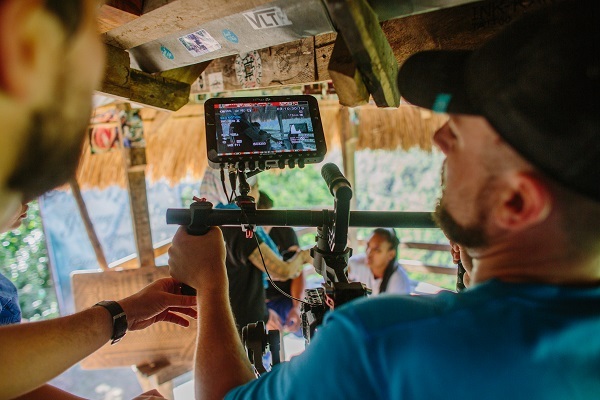 Our team spent four days filming with Whang-od, her grandniece Grace, the many tourists arriving to receive tattoos, and the rest of the Butbut tribe. It was truly an incredible experience. Having no opportunity to meet our characters in advance, it’s always tough to know what to expect. One of the challenges that we face with stories about people in their later years is that we can’t ever predict how much time they’ll be willing to give us when we arrive, and how they might be feeling during the process. As we all know, production can be a pretty exhausting process. We were very fortunate that we found ourselves trying to keep up with Whang-od rather than having to worry about her keeping up with us! On projects like this, we always try to allow for a couple contingency days in case of bad weather, the story taking an unexpected turn or the need for extra time to capture those few additional shots that will really take the video to a new level. It might cost us a little more budget wise but after all the prep, travel, and time, it’s well worth it to have that breathing room. We found for this particular story it allowed time to have the interview translated on site and gave us the chance to shoot with the interview in mind rather than trying to simply pick up shots and match them to the story later. We also had time to think about how to introduce the story through the eyes of Whang-od’s grandniece Grace, who is taking on the tradition of tattooing, and gave us the time to direct an opening aerial shot that we feel really pulls you into the story. When production wrapped up, and we traveled back to Canada, we jumped into edits when we could between our jobs that were paying the bills. We also paired up with an incredibly talented motion graphics team who created 3D versions of our Legacy subjects and projected imagery we had captured onto their faces, to create and amazing intro title sequence for the project. 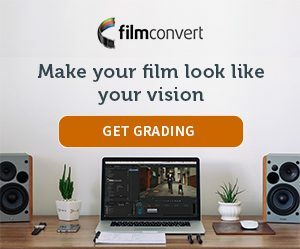 Once they had picture lock, the team at Defacto took on sound design, and we finished the color on the piece using FilmConvert FJ 8553 ET stock, with 0-10 percent grain and color at about 90 per cent for the piece. Using FilmConvert was especially useful to help match the drone footage up with the SLOG3 footage that was being recorded on the ground. Great video for sure. The editing was very nice, and the colour correction and post work was awesome! I would have liked to see more tattooing in progress, but I guess you have to make choices with the time given. Awesome!